Our first ever MHJC Trivia Quiz was a huge success. 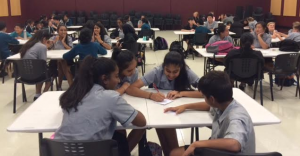 Over fifty students and staff from across the school competed in the quiz competition. Questions came from geography, music, books, food and sport categories. Many groups had strengths in music and most now know they need to brush up on their geography knowledge for future quizzes! 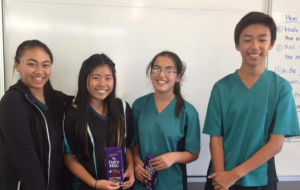 Congratulations to Team Friday for being our first winners of the year!